One of the most exciting thing about running your own business is when it starts to get busy. Sure, it can be pretty stressful and, on occasions, feel a little overwhelming - but it is what it is - expansion. And expansion is a great thing for any business. One of our recent growth spurts has resulted in a change to the way in which we manage our current projects. Whereas before, a colour-coded hand-written task list served as my all-in-one reference to where we were at with current projects - I had finally grown out of it. Mainly for two reasons. 1) I needed the information to be digitally available 2) I needed to be able to share it across with sub-contractors, some of whom weren't in the office. So, then, onto the search for the best project management software. Price was key, as we didn't have a huge amount of investment to put into the new system. I'm a keen believer in 'you get what you pay for'. So, although I was keen to keep costs down, I would be willing to pay something for the right solution. We looked through various existing softwares and transitioned through many of them over the course of several weeks. And since we spent a lot of time and energy into finding (what we found to be) the best solution - we thought we'd share it with you. It's not a new technology, it's been around for a while. You may have even heard of (or already use) it. But it's worth a mention here on our blog. It's called Trello. And it's the bomb. Trello is your to-do list and project management charts on steroids. 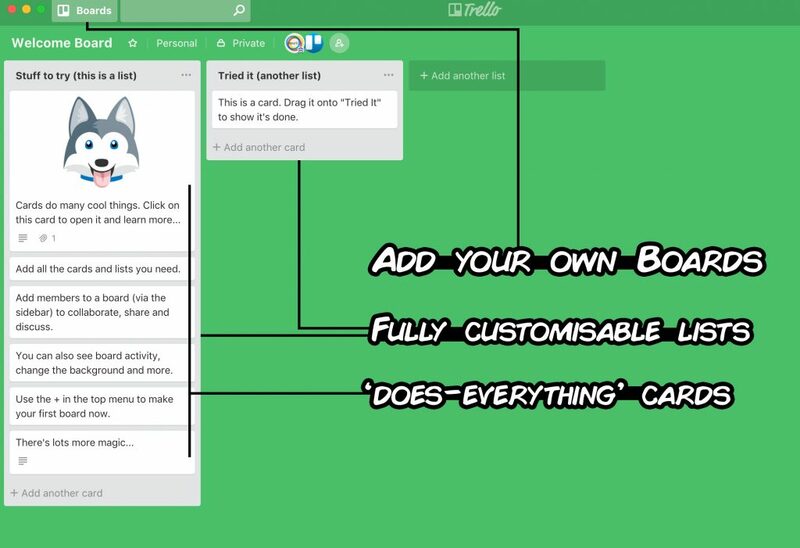 Trello uses similar concepts to the Pinterest interface but places them into a workable and fluid workspace that is both clear and highly customisable. Trello is available in both a website format (through a web browser) and also through free apps that are native to mobile devices (desktop, tablet and smartphone). There are essentially three levels of categorisation. Boards, Lists and Cards. Boards are your parent category. Think your business departments. For HeartCo, we have a board for each of Build Me Mini, OliveJoy Photography, Media Sussex and General. Then inside the boards you can have lists. Lists are handy in a number of ways - but essentially, for project management, I've found Upcoming, Doing, Done and Other to be a good standard layout. Then on each list are your cards. Cards are where the nuts and bolts of the 'management' takes place. You can practically add anything and everything to cards. From checklists, to comments, to links and images to just about anything else. The beauty of Trello is that ability to drag and drop these cards around your lists as you see fit. Not only is it easy to do, it's incredibly satisfying. The beauty of Trello is its simplicity. We tried likes of Asana, Todoist and Slack and found them slightly counter-intuitive. Mainly because of either their lack of flexibility (Asana, Todoist) or such flexibility that it could have taken us several years to get it right (Slack!!). While other softwares left us wondering where we were at on certain projects, Trello give us real-time updates on what we were all working on at any given time. It's OSX, iOS and (presumably) Android apps made light work of syncing up all of our project progresses. Trello is click and go. Plug and Play. Setup and go. It's easy to share with others and, while there is a Premium version of the software, everything you'd ever really need is entirely free. 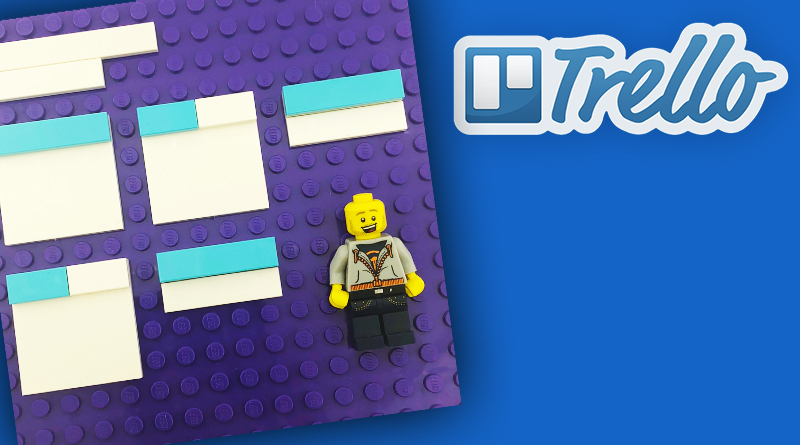 You can check out Trello here. This link. takes you to a sign up page (all free). We do earn a month of Trello gold if you sign up through our link - but that's honestly not why we're promoting it.